Choosing handles for your kitchen is one of the many important decisions to make during the design process. 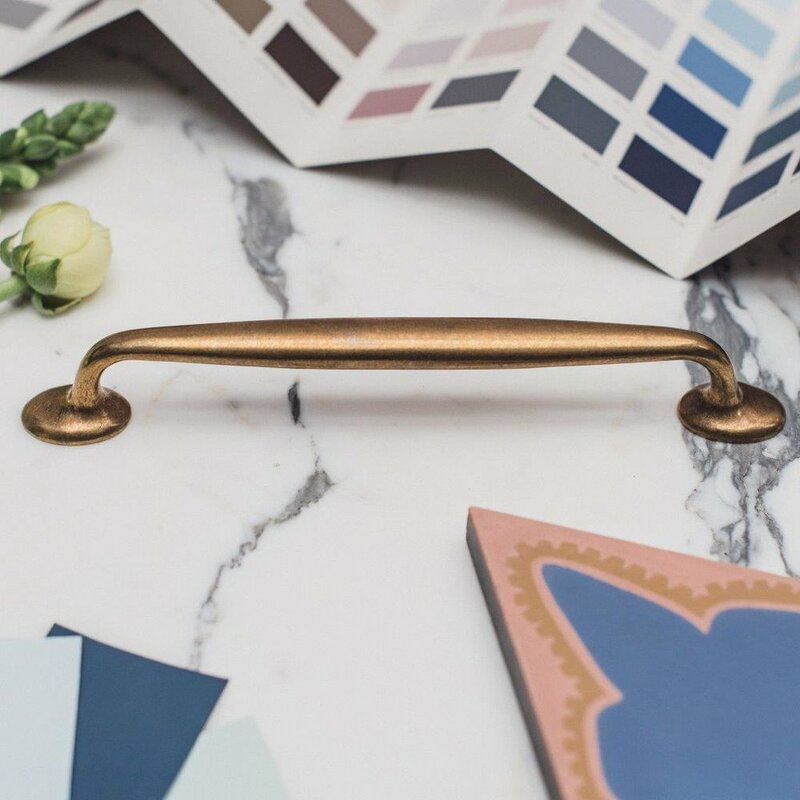 There are many different options available, but our clients usually end up choosing from Armac Martin’s range of solid brass handles. 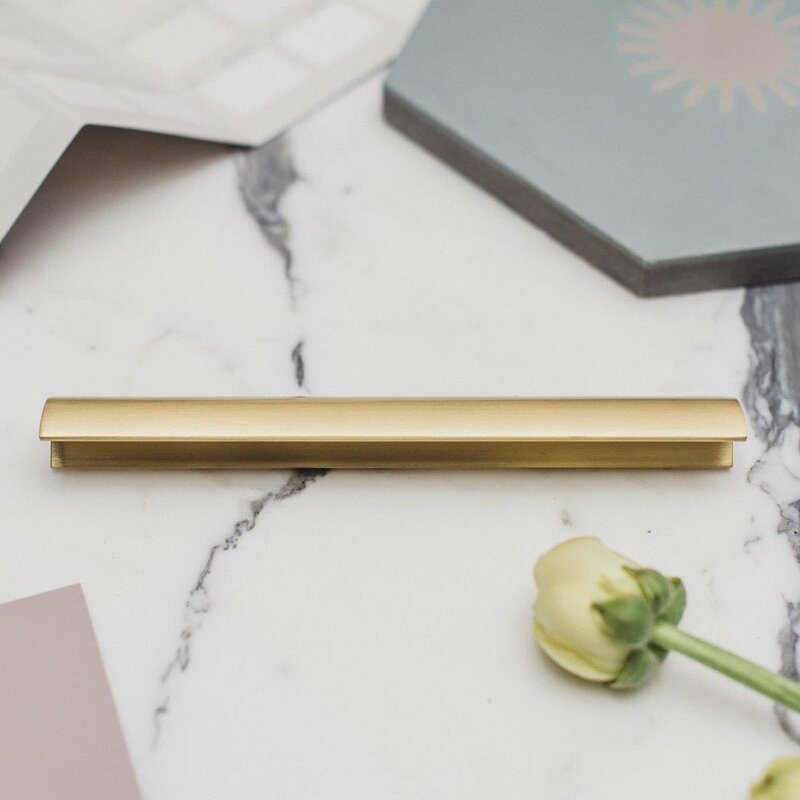 They are available in a range of finishes, including Satin Brass, Burnished Brass, Satin Nickel and Satin Chrome. Each handle is made in their Birmingham factory and finished by hand. 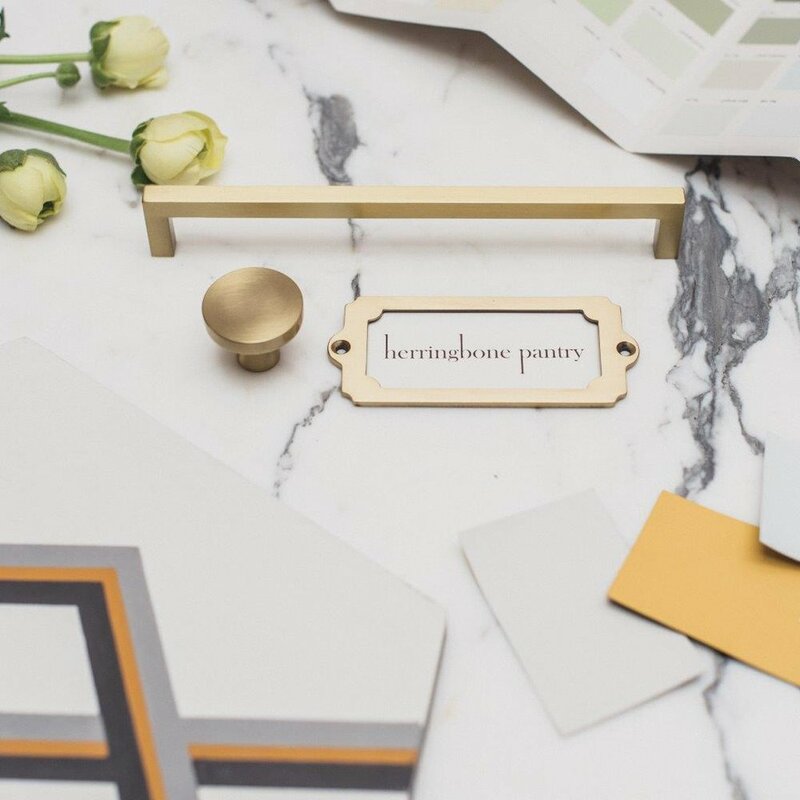 Our favourite handle collections are now available to purchase from the Herringbone Pantry along with a selection of decorative tiles and stone flooring. There are a range of styles, traditional, industrial and contemporary handles. We have used all of these on our classic framed shaker door and we love that they are versatile designs that can be customised to reflect your own personal style. We design and make bespoke kitchens from our studio and workshop in Canterbury. We are a family business and we believe that kitchens should be built to last, from first steps to first dates. For more examples of the handles our client’s have chosen, have a look at our Projects page where we post images of kitchens we have designed and made together. If you have any questions about choosing handles for your kitchen we would love to help, you can drop us a message on Instagram, by email or just give us a call on 01227638066. On Saturday 16th June we will be joining others from across the UK to raise awareness and money for RU's Fund. Ru was a very happy little boy, who sadly passed away last August after being diagnosed with a rare form of paediatric cancer. Since than his parent's have done an incredible job at raising funding and awareness for rare and underfunded paediatric cancers. Ru had a malignant rhabdoid tumours (MRT), which is a very rare but very aggressive tumour that occurs in childhood, with only a few cases diagnosed each year in the UK. Because the cancer is so rare, it is also one of the most underfunded. On 16th June there will be fundraisers held all over the UK and Northern Ireland to commemorate one year since Ru's diagnosis. We will have tea, cake and information on rare and underfunded paediatric cancers on the day, at our Canterbury studio in Palace Street from 10 AM-5PM. This is a cause that is very close to our hearts. You can read more about Ru by clicking here. 1) Drink works best with which kind of tantrum or parenting situation? Drink works best after the witching hour - when they’ve gone mad for half an hour, screamed and argued through bathtime and you still know you have a couple of hours work left to do, make the dinner AND put a wash on. 2) To be had before or after bedtime? 3) What would you pair this drink with? Enjoy your Friday whether you're dancing on tables in Ibiza, or in the kitchen with a curry and wine.